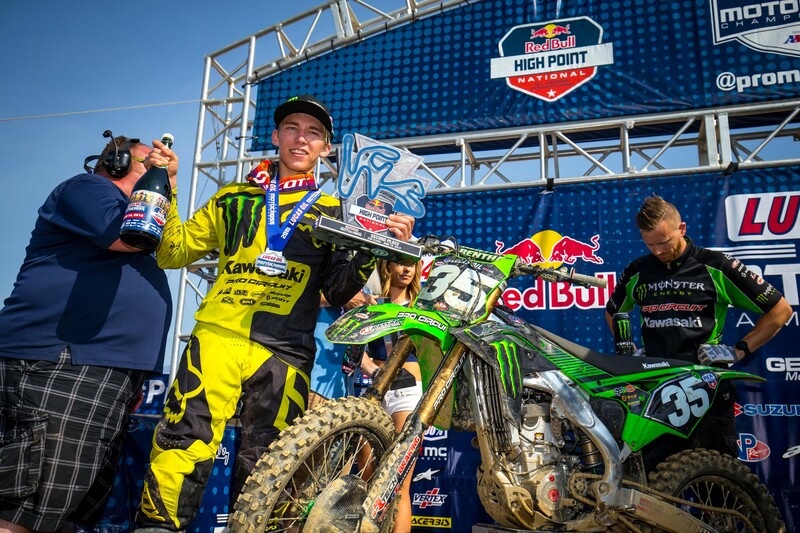 Throughout the month of December, Racer X Online editors and contributors will be handing out one award each day for an outstanding performance or effort or product related to the global motocross industry in 2018. Each winner will receive this award, which we’re calling a Roger, just like the Academy Awards have their Oscars. It’s in honor of Roger DeCoster, a great ambassador for the sport of motocross for more than 50 years. 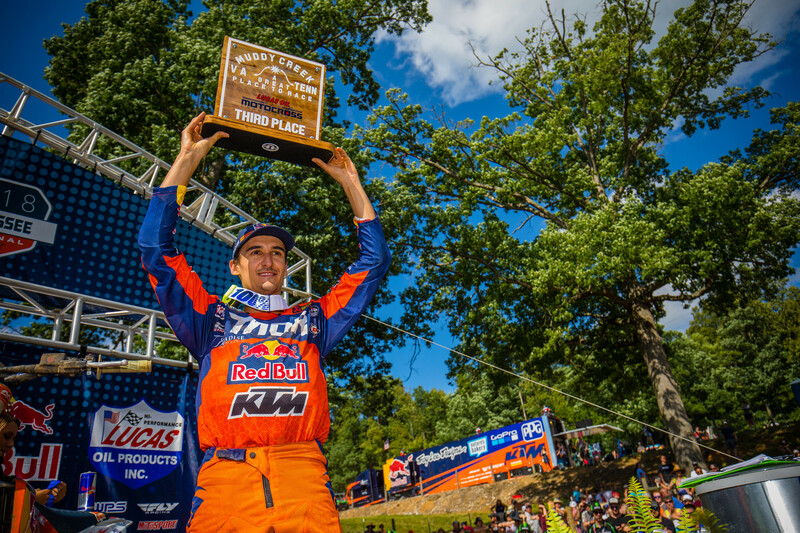 Today’s topic is Racer X Trophy of the Year. 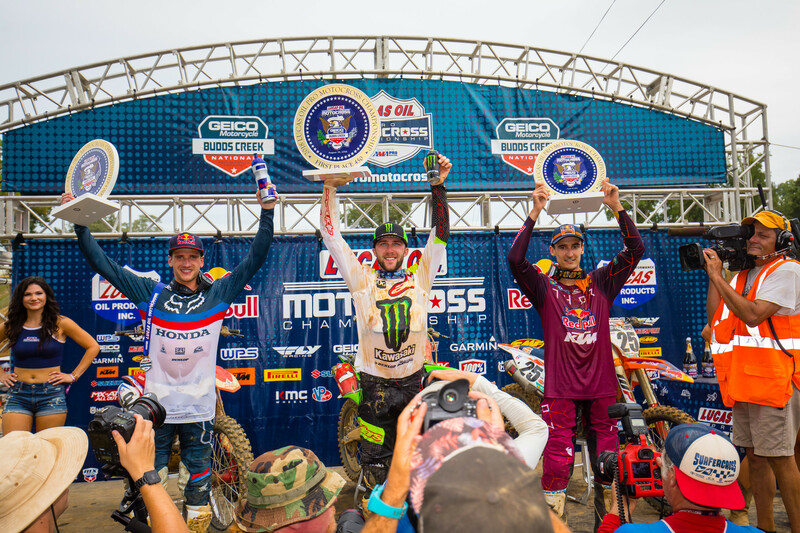 Ever since the AMA Pro Motocross Championship started in 1972, the various tracks involved have been giving out trophies, traditionally to the top three finishers in either class. 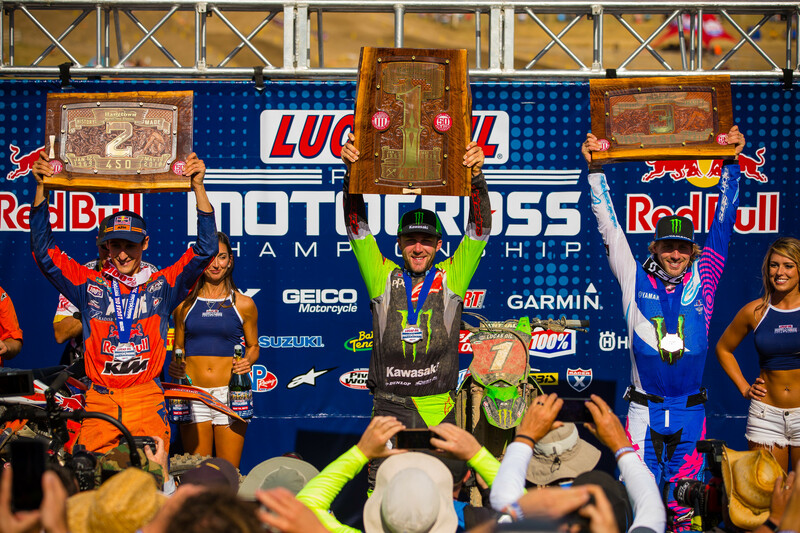 Over the years the trophies have evolved from those simple but classic marble-and-metal obelisks with a little bike on top to plaques and sometimes wreaths and even just medals. 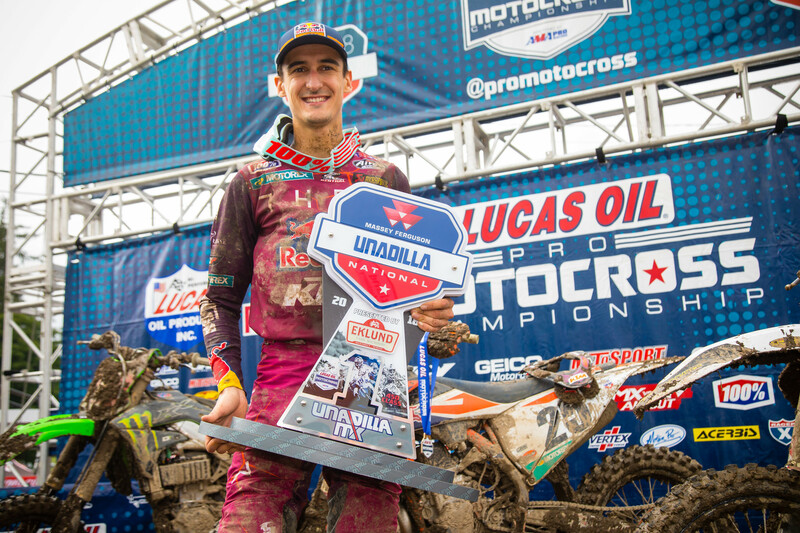 So DC approached the 12 individual promoters of Lucas Oil Pro Motocross with a contest idea. 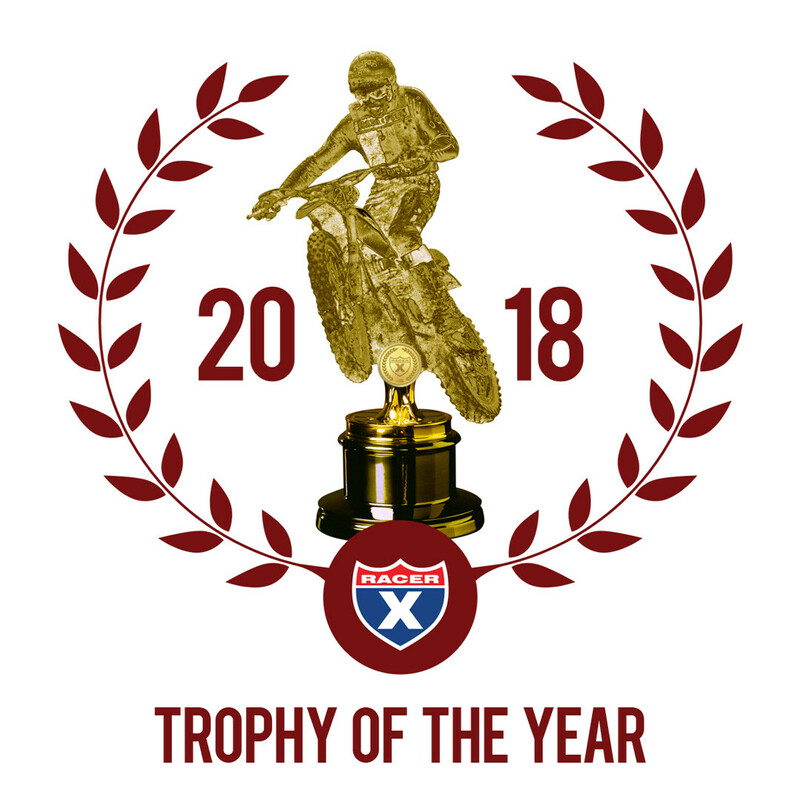 As a way to incentivize the track promoters to put a little more thought and flash into their hardware, Racer X announced a “Best Trophy” contest. 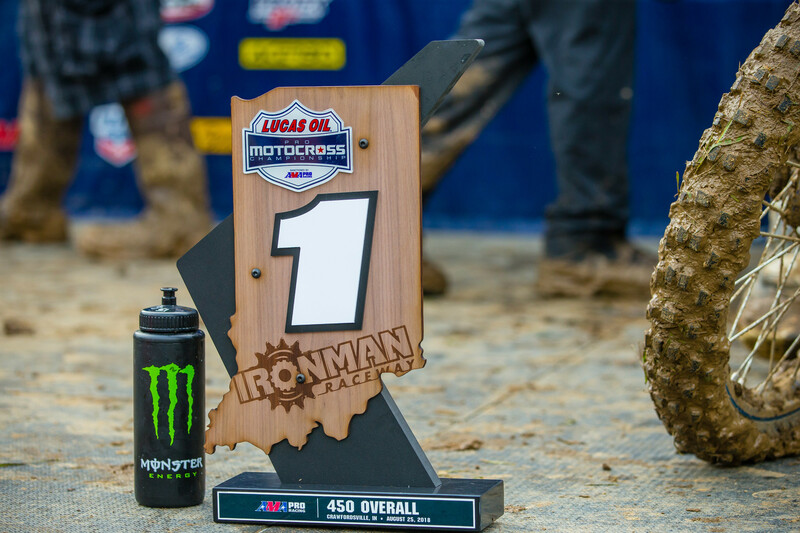 The promoters were asked to think outside of the box and bring something special to their awards, be it regional identity, the track’s distinct heritage, or maybe just something plain cool that involved a title sponsor or local artist. 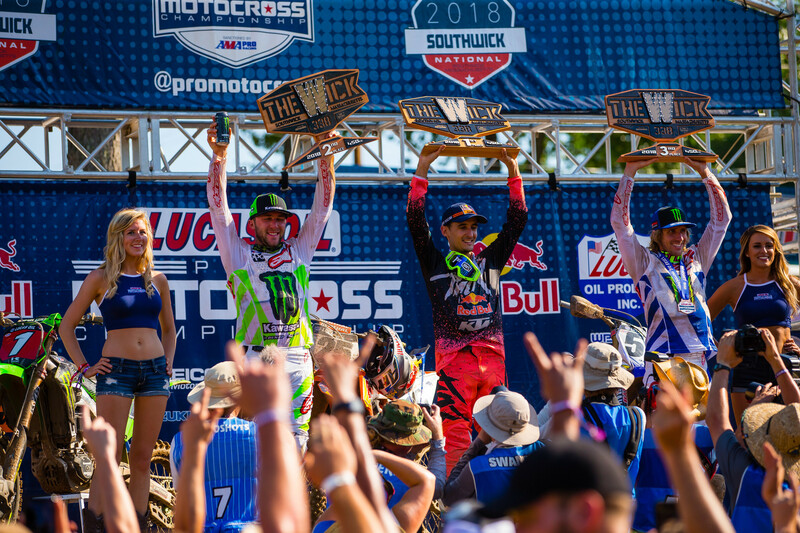 The Racer X staff and contributors would vote on the 12 different winner’s trophies, and the winner would get a free page in the magazine to advertise their local event schedule. 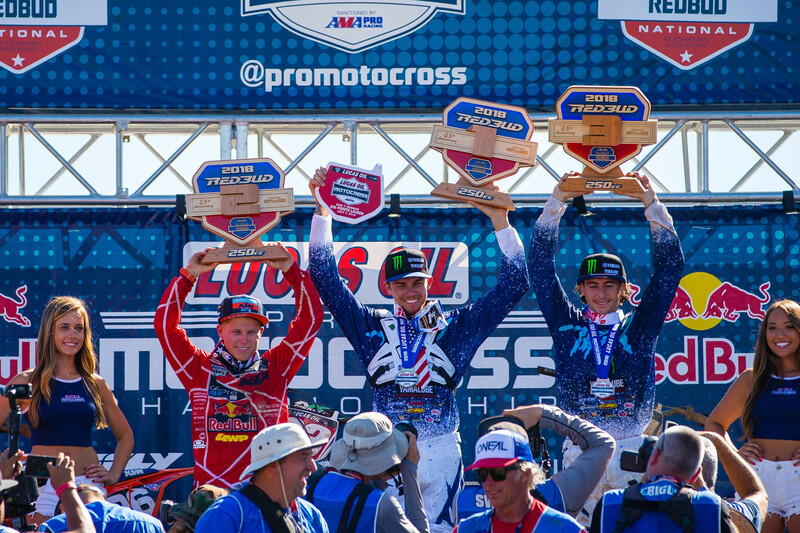 The promoters responded immediately, and ever since then we’ve seen some very cool trophies at the nationals. What began as a friendly contest has certainly turned a bit more competitive over the years. 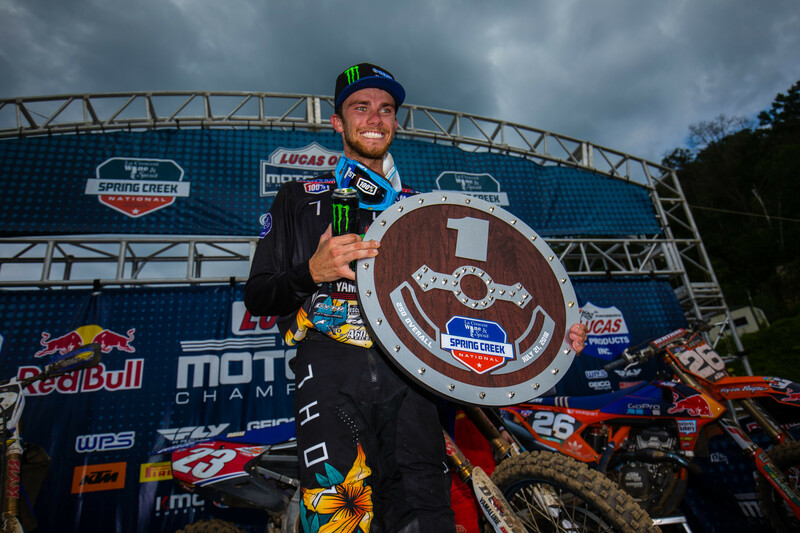 From hand-painted guitars to real Viking helmets, Old West revolvers and holsters to Civil War-era muskets, the trophy game has stepped up big, and today’s riders will certainly not be throwing any hard-earned trophies away like Windham once did. 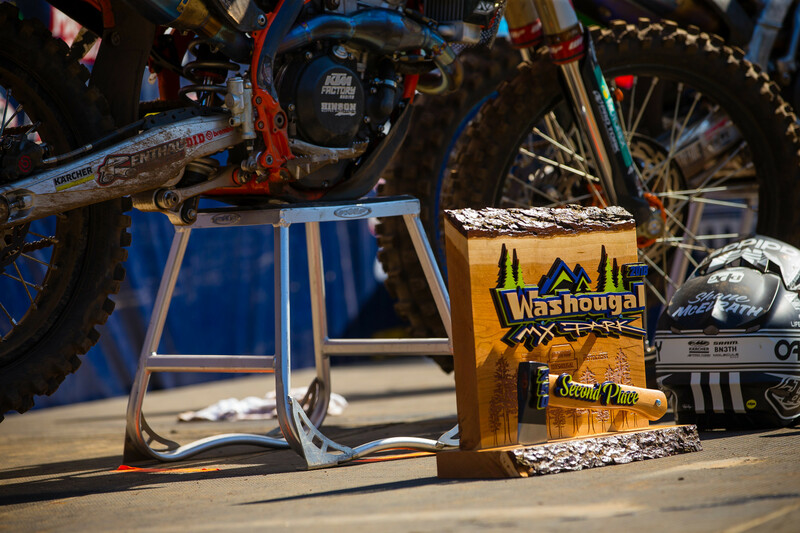 For this year, we voted Washougal’s hand-painted axes as the best trophy, so that makes Washougal winner of Racer X’s 2018 Trophy of the Year. 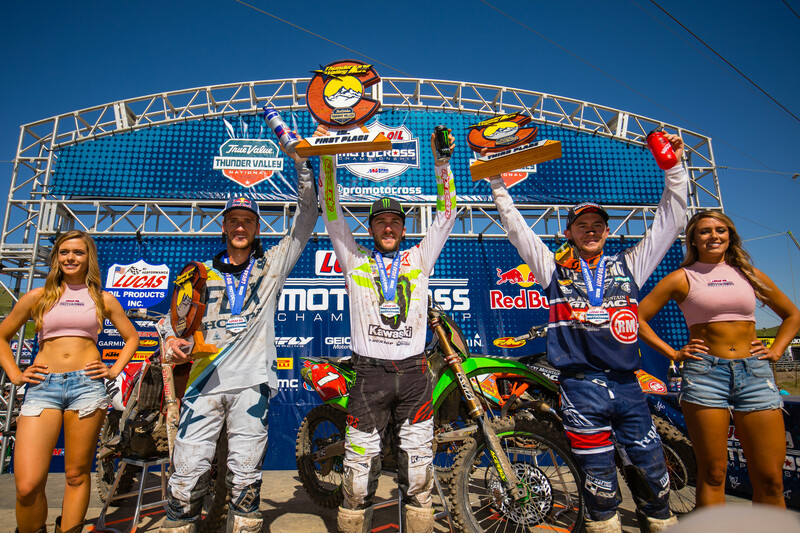 You can view all the trophies from 2018 below.